Prominent & Leading Exporter from New Delhi, we offer ldpe water film and water packaging film. Backed by our rich industry experience, we have come up with LDPE Water Film for our revered customers. 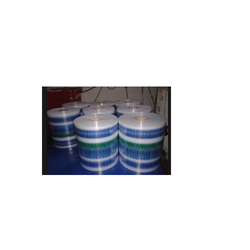 The offered films are extensively used for packaging of mineral water and beverages. With their optimal bursting strength and sealing capacity, these films are highly regarded by the customers. Offered films are competitively priced. Packaging Details: Each Roll Packed in Carton boxes. 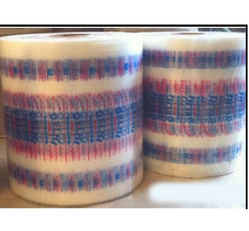 We are the leading manufacturers of Water Packaging Film. We are looking for an export inquiry from Africa, Senegal, Nigeria, Egypt, Ethiopia, Liberia, South Africa, Guinea, Ghana, Uganda, Kenya, Zimbabwe, Bangladesh, Sri Lanka, Pakistan, Nepal, Gulf, UAE, Dubai, Bhutan, Singapore, Malaysia, America, Spain, Europe, Denmark, Germany, France, Netherlands, Italy, Canada, London, United Kingdom, Australia , Vietnam and all over the world. Looking for LDPE Water Film ?